Jeremy Reed, whose prostate cancer was caught early thanks to regular testing, with his wife Suzanne. Jeremy Reed, of Applecross, discovered late last year through a routine blood test that he probably had prostate cancer. Further investigation confirmed this was the case. In June, Jeremy had surgery to have his prostate removed and no longer fears the cancer progressing, but the treatment was not without side effects. 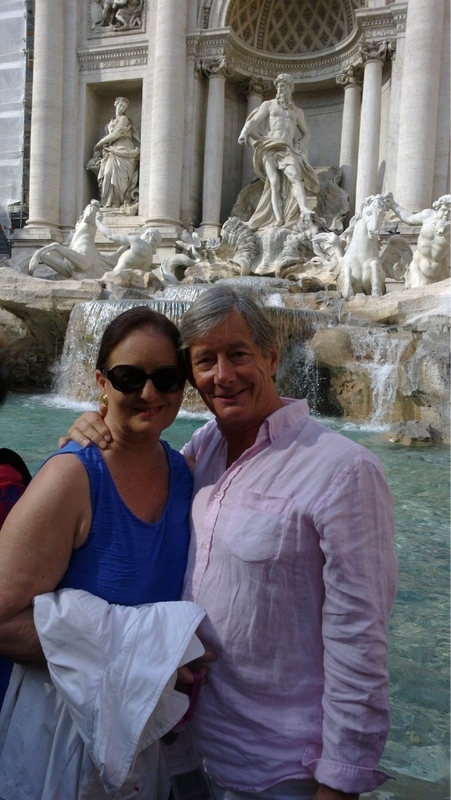 Any impact felt by Mr Reed and his wife Suzanne was minimised because the cancer was diagnosed early and he quickly armed himself with enough information to make a decision about his treatment. After a routine prostate specific antigen (PSA) blood test, recommended for all men over 50, Mr Reed was found to have a higher than normal result. Because he had been having regular PSA tests for years, his doctor could see a clear upward spike in the number. More testing confirmed prostate cancer and Mr Reed was given a range of options, from �watch and wait� to a radical prostatectomy, the latter being his choice. He said as it was extremely unlikely the cancer would go away on its own, he chose to have his prostate removed and therefore eliminate the risk of the cancer developing and spreading. Three months after the surgery, Mr Reed is back playing tennis and itching to get back on to the golf course, the only obstacle being finding enough spare time. The surgery is not without risks and most men will experience some incontinence and erectile dysfunction, which may be long or short term.